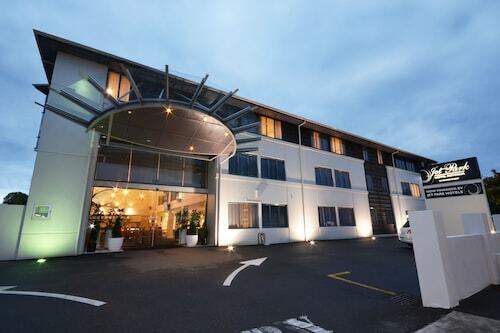 Located in the heart of Rotorua, this motel is within a 15-minute walk of Racing Rotorua and Tamaki Maori Village. Polynesian Spa is 0.8 mi (1.3 km) away. Rotorua is famous for geothermal attractions and Maori culture. A city in the Taupo Volcanic Zone, it has relaxing spas and mud baths, explosive geysers and countless other beautiful natural attractions, including 18 sparkling lakes. 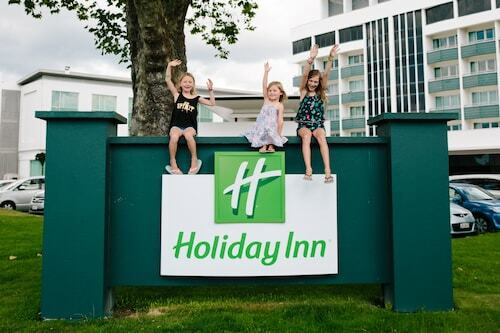 Whether you’re looking for a cruise on Lake Rotorua, a mountain bike trail or a rejuvenating mud pit, we have a Rotorua hotel for you – and your whole family, too. The biggest lake in Rotorua (and the second biggest on New Zealand’s North Island) is the aptly named Lake Rotorua, and there are many ways to explore it – along with the rest of Rotorua’s lakes - including taking a ride on a paddle steamer, going on a guided kayaking tour or river rafting down a waterfall. Take a boat cruise along Lake Rotomahaha, a lake surrounded by unspoilt wilderness that boasts its very own geothermal system. At Lake Rotoiti you can kayak straight into caves full of sparkling glowworms. Whether you have kids or not, Agroventures Adventure Park is the home of all kinds of unique attractions, including the world’s only pedal-powered suspended monorail: Schweeb. There are plenty of opportunities to relax and unwind in one of Rotorua’s mud bath spas, including the Hell’s Gate and Wai Ora spas, where you can rejuvenate in a healing mud bath or sulphur spa. Rotorua is a popular and much-loved mountain biking destination, with heaps of trails in areas like Whakarewarewa Forest. And when you feel like getting something to eat, head to Rotorua’s vibrant Eat Streat, full of café and restaurant options. 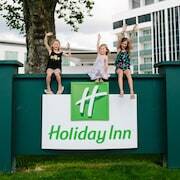 On top of hotels, we also have cheap flights to Rotorua. If you happen to stay on Fenton Street, Rotorua’s “motel mile”, you can walk to some decent attractions – including the restaurants and cafes of Rotorua’s Eat Streat. You can hire a car to get to Rotorua’s more spread-out attractions, hire a bike (of course) to tackle the mountain biking trails, or check out the local CityRide bus network. 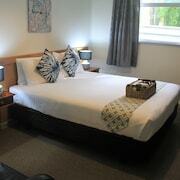 Book your Rotorua accommodation with us and get ready to roll around Rotorua. Need insider tips on must-see attractions in Rotorua? Check out our Rotorua travel guide! 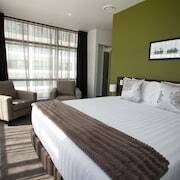 How Much is a Hotel Room in Rotorua? 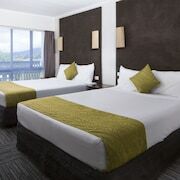 Hotels in Rotorua start at AU$52 per night. Prices and availability subject to change. Additional terms may apply.